Mr Snapalots is still growing and he is now 17cm! Just an update on Mr Snapalots..
After one more day he has grown 3cm. He is now 15cm long and hopefully still growing! We will look at him again tomorrow and see. 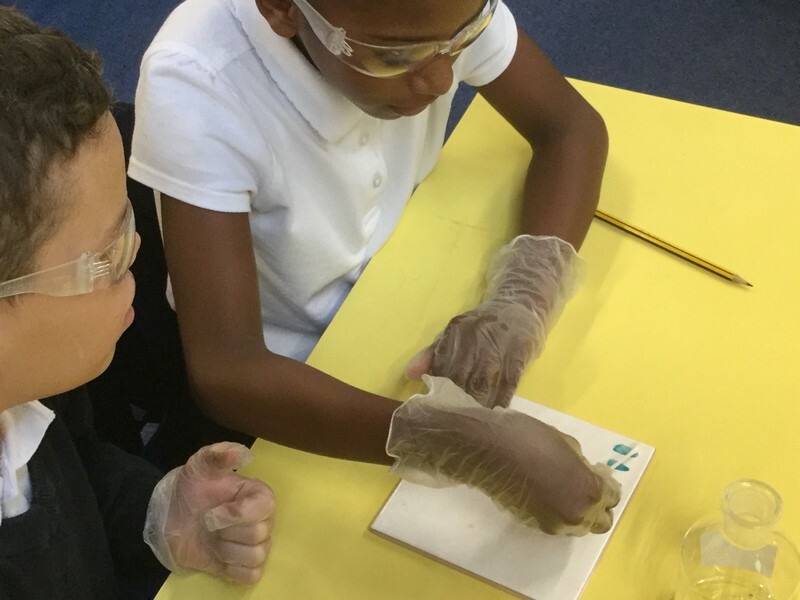 This afternoon Robins put on their safety goggles and gloves to complete an investigation. 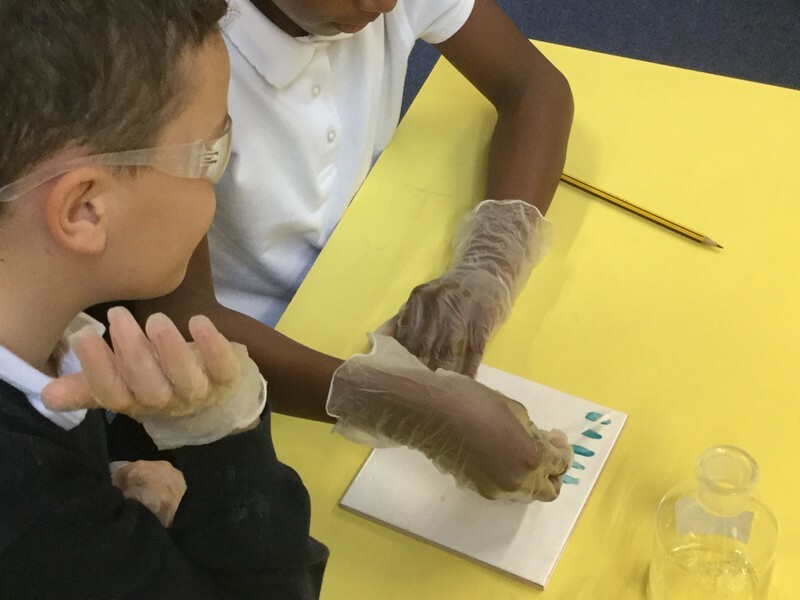 They were investigating which solvents were the most effective at removing nail varnish. Before the investigation, they predicted which one they thought would be th most effective. Which one would you have chosen? Each pair were given a tile and the painted 5 lines of nail varnish on them. Then with a cotton bud dipped into one of the solvents, they tried to remove the varnish. They then recorded their results. Have a look at what they found. 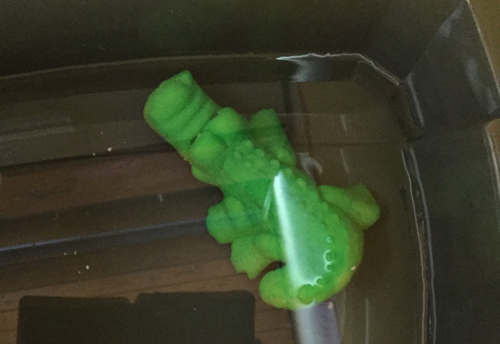 We have named our crocodile Mr Snapalots. 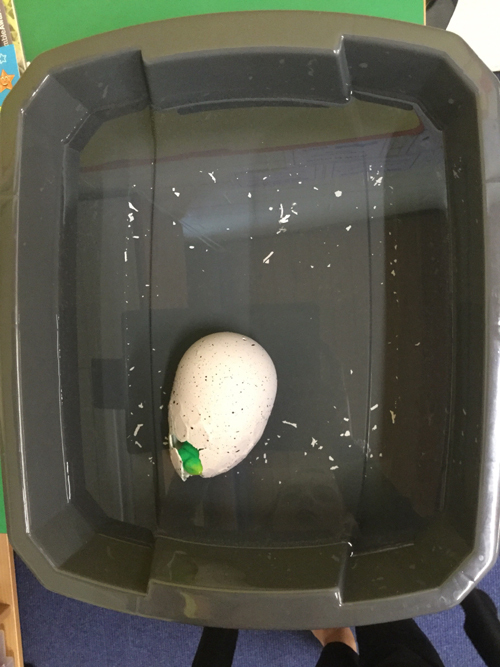 Today we found that the egg had hatched even more and he was beginning to escape it. We took him out of the water and measured his length. He is already 12cm long. 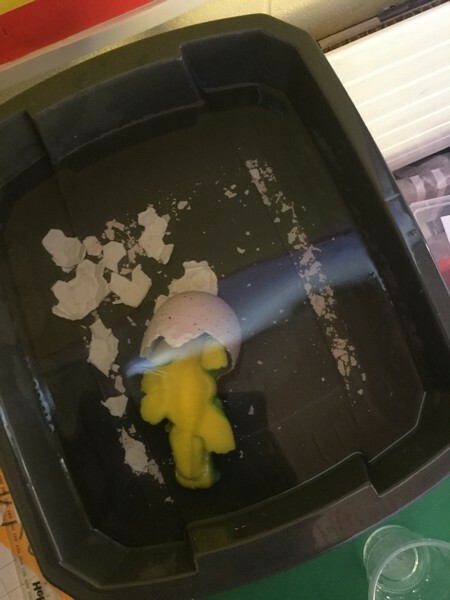 In science this week Year 4 have placed a crocodile egg in a bowl of water to watch it grow. 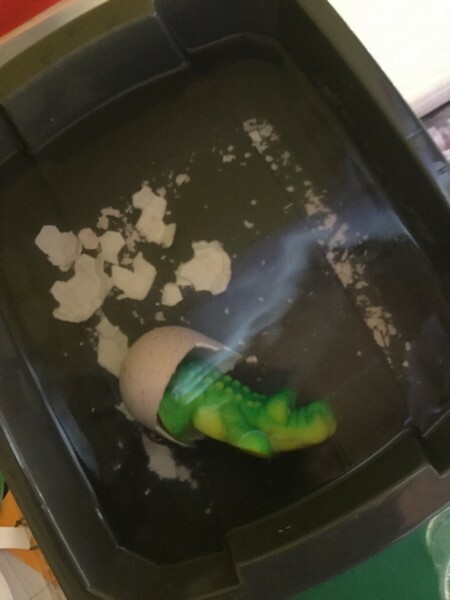 After 2 days it is finally starting to hatch. Our school councillors, Megan and Chandler, joined the others for a school council meeting today. It was their first meeting of the year. They all reintroduced themselves and recapped the aims and objectives. Miss Dainter, who is also now on the school council, is going to lead the school being an Eco school. It sounds really good. Some of the school councillors will also be on the Eco team. 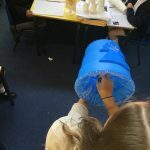 They are still going to keep an eye on litter and are going to ask classes about which charities they might like to support and how they might raise the money. Let’s see what they come back with. Today Robins thought about figurative language. 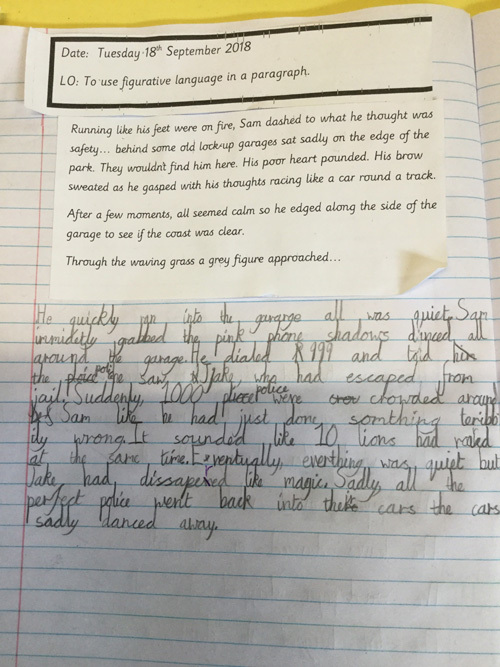 They looked at personification, alliteration and similes. Sophie shared her lovely example of figurative language. Robins were experimenting with air today. 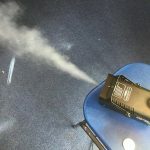 They use an airzookla, which is a gadget that shoots out puffs of air. Miss Edwards shot out puffs to knock down cups off the table. When she pulled back the tab on the airzookla, it sucked in some air and as she released the tab, it shot the air out! To show it better, we used a smoke machine…. 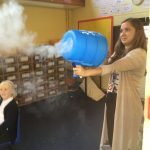 We could then easily see how the airzookla created kinetic energy which made the smoke travel. It then began to lose kinetic energy as it travelled through air. 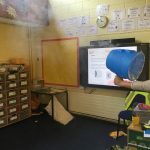 The smoke began to dissolve as it travelled because it mixed with air particles. 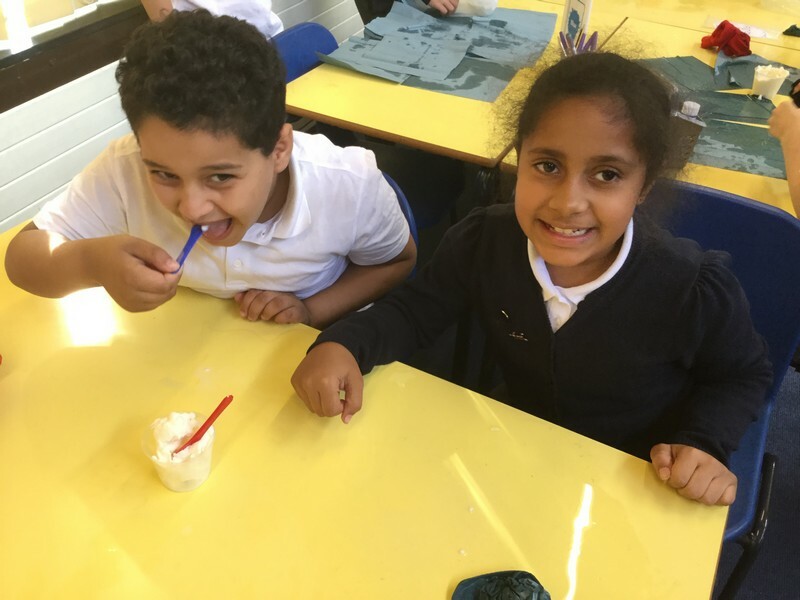 Year 4 have continued their science learning and have been investigating the solubility of salt and sugar. 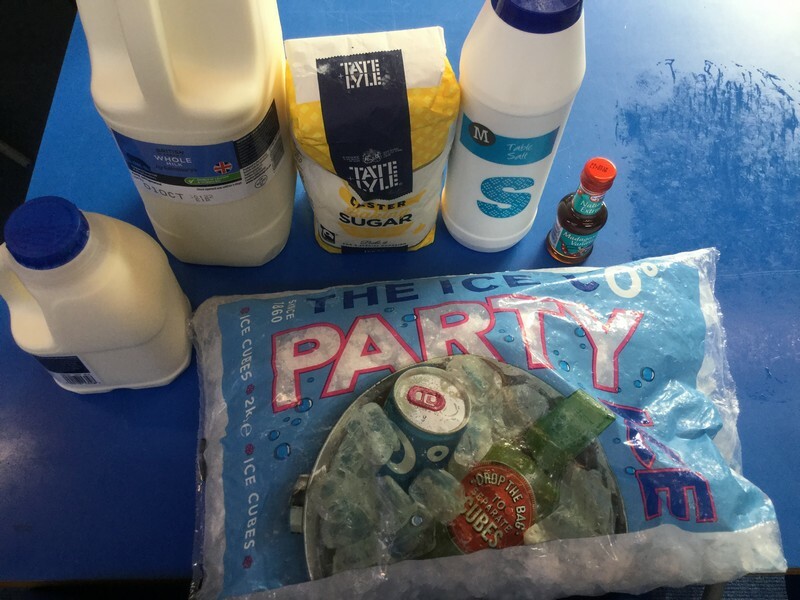 The children worked in pairs to put salt and sugar into cold water and see which dissolved the quickest. 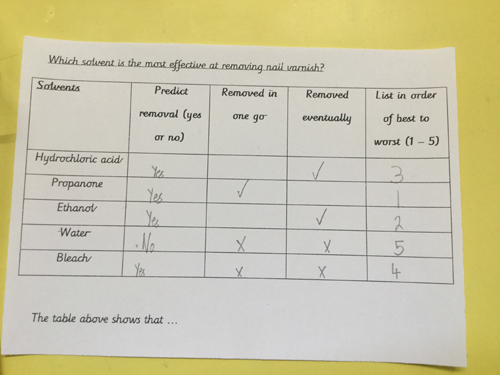 The children ended up having a real mixture of results therefore we discussed the reliability of the experiment. 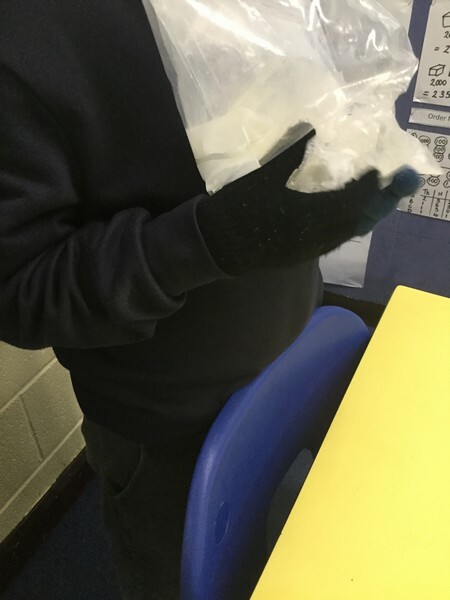 The children discussed how it wasn’t really a fair test because you could have accidentally put more sugar in the water than salt. 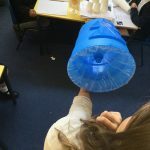 Year 4 have learnt that science doesn’t always go to plan but that’s part of the fun!